Dr Ross Anderson graduated from the University of Queensland in 1978. He enjoyed three years at the Royal Brisbane Hospital and then became a partner in a 5 doctor practice in Brisbane for 30 years. He moved to Moffat Beach in 2011 and joined GBMC. Ross enjoys all aspects of general practice and welcomes both new and regular patients. Dr Arocena moved to Queensland in 2005 after completing his medical degree Internship in Mackay Base Hospital, North Queensland. Dr Arocena has a keen interest in Occupational medicine, paediatrics, general medicine, sports injuries, chronic disease management and travel/tropical medicine. Dr Geoff Bennett, originally from Brisbane, worked and trained at a number of rural and regional locations around Queensland before joining Golden Beach Medical Centre in 2009. He is one of the supervisors for our GP Registrars and is also an examiner for the RACGP. He has a particular interest in Children's Health and enjoys all aspects of General Practice. Dr Bennett is working full-time at the Golden Beach Medical Centre however is only taking new patients under 16 years old. Dr Stephen Bosworth graduated with honours from the University of New South Wales. Dr Bosworth is vocationally registered and has over 17 years experience in general practice. Prior to that he worked extensively in the areas of pathology and emergency medicine. 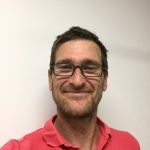 He is a member of Sports Medicine Australia and has additional areas of particular experience in the fields of asthma, paediatrics, skin malignancies and hormone therapy. Dr John Conway moved to the Sunshine Coast from Melbourne where he was a partner at a General Practice in Diamond Valley for over 20 years. His special interests include geriatrics, paediatrics and general medicine. Unfortunately Dr Conway is unable to take on new patients at this time. Dr Michael Cross-Pitcher has a broad interest and experience in all aspects of General Practice. He has obtained advanced qualifications in Obstetrics and Gynaecology, and thoroughly enjoys being a partner in the journey from pregnancy planning and antenatal care through to caring for the newborn. Dr Cross-Pitcher has obtained qualification as a GP Anaesthetist and also has a keen interest in childlen's health, geriatrics and chronic health as well as skin cancer assessment, prevention and excision. Dr Peter de Wet was born in South Africa and moved to Brisbane with his family when he was 8 years old. After graduating from the University of Queensland he immediately started work at the Princess Alexandra Hospital. Here he underwent his internship, residency and spent a year as an orthopedic surgery registrar. Dr de Wet’s areas of interest within general practice are sports, trauma and minor procedures. Dr de Wet is currently consulting at Pelican Waters Family Doctors Tuesday and Thursday and at Golden Beach Medical Centre Monday and Friday. Dr Ben Filewood has a broad interest in all aspects of general practice and aims for a holistic approach with particular emphasis on patient education. His special interests include men's health, cardiovascular disease, and skin cancer medicine and surgery. He enjoyed training in Brisbane and Bundaberg and completed his fellowship here on the Sunshine Coast. Dr Filewood welcomes current and new patients. Dr Consti Frei trained as a specialist in general medicine in Switzerland before moving to Australia in 2005. Dr Frei has been at Golden Beach Medical Centre since May, 2015, and has a special interest in musculoskeletal diseases. Dr Mark Greiner was born and raised in Bundaberg. He completed a Bachelor of Science at the University of Queensland in 2008 and graduated from Griffith University School of Medicine in 2012. He is passionate about preventative medicine, patient education and enjoys skin cancer medicine. Dr Lee Harding joined us from England where he completed his vocational training in 2002. He has been fortunate enough to travel widely and has worked previously in Australia, New Zealand and the U.K. He is interested in all aspects of General Practice particularly dermatology and elderly care. Unfortunately Dr Harding is unable to take on new patients at this time. Dr Michael Hayes has over 29 years experience in General Practice and is interested in all areas of general medicine, including Geriatrics, Paediatrics, Travel Medicine and the treatment of solar keratosis and skin malignancies. Dr Hayes allocates Wednesdays to either home or Nursing Home visits or in training RACGP registrars. He has also satisfied the training requirements and holds a Fellowship of the Royal Australian College of General Practitioners and is on the Vocational Registrar of General Practitioners. Dr Hayes has attended a number of post-graduate medical courses in Skin Cancer Medicine. Unfortunately Dr Hayes is unable to take on new patients at this time. Dr Wynn Hlaing graduated from the Institute of Medicine Rangoon in 1979 and moved to Australia in 1992. He is a fellow of the Royal Australian College of General Practitioners and Australian College of Rural/Remote Medicine. His special interests are in sports medicine, emergency medicine, skin cancer and men's health. Dr Dean Irvine is a General Practice Registrar working towards his Fellowship with the Royal Australian College of General Practitioners. He graduated from the Griffith University School of Medicine in 2011. Dr Irvine worked in several South East Queensland hospitals prior to transitioning into general practice in 2018. He enjoys all areas of medicine but has a special interest in sports medicine and preventative health. Dr King Graduated in 2006 from the University of Tasmania, he moved to Sydney where, upon completion of his internship, he worked for a number of years as a registrar in surgery working in cardiothoracic, vascular, trauma and general surgery. Searching for a better work life balance he moved to the Sunshine coast to work as a GP at Pelican Waters Family Doctors. Despite his interest in all facets of general medicine, Dr King has obvious interest in surgical problems, but also has a deep interest in preventive medicine, nutrition, and obesity; and the implications of these on general well-being and chronic disease. Dr Lee, originally from Malaysia, completed her medical degree at the University of Southampton, UK. She moved to Australia in 2008 and completed her GP training with Tropical Medical Training in North Queensland in 2013. Dr Lee has a special interest in paediatrics, women's health and general medicine. She will be consulting every Tuesday and eventually every Wednesday at Golden Beach Medical Centre commencing from Tuesday the 30th of April. Dr Lee will be welcoming back previous patients or hers as well as taking on new patients. Dr McKenzie is a General Practice Registrar working towards her Fellowship with the Royal College of General Practitioners. She enjoys all areas of medicine but has an interest in Child and Adolescent Health, Women's Health as well as Mental Health. Dr McKenzie graduated from the University of Sydney in 2010 with a Bachelor of Medicine and Bachelor of Surgery. 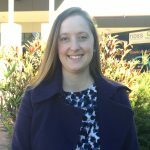 Since graduation she has worked in a number of hospitals in various areas of medicine in both NSW and Queensland, including in many regional areas before transitioning into General Practice. Dr Thao Nguyen studied medicine at The University of Melbourne and graduated in 1998. Dr Thao Nguyen enjoys all aspects of General Practice including paediatrics, women’s health, minor surgical procedures and geriatrics. She also offers medicare rebatable acupuncture service. 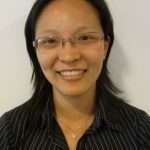 Dr Nguyen is keen to help her patients to achieve good health through their healthy eating habits, exercising within their capacity and leading a happy life with mindfulness and good intentions. She only uses medications or invasive procedures when absolutely necessary. Dr Ryan O'Donnell grew up in North Queensland. He Graduated from the University of Queensland. He has been practicing on the Sunshine coast since 2012. He is interested in all areas of general practice with particular interest in Paediatrics, Men's Health and Chronic disease. Dr Raylea Parkes graduated from the University of Queensland. Prior to General Practice training, she worked and trained in various Queensland Hospitals. She also spent several months working as a medical registrar in the UK. Her special interests include women's health, paediatrics and general medicine. Unfortunately Dr Parkes is unable to take on new patients at this time. 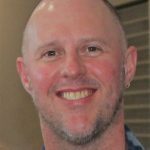 Dr Shorthouse grew up in North Queensland, studying medicine at James Cook University and graduated in 2006. Since then she's undertaken hospital training, including diploma of obstetrics and gynaecology, and further training in paediatrics and emergency medicine. Dr Shorthouse has a special interest in women's and children's health. Dr Shorthouse welcomes regular and new patients however she does not bilk bill, this includes concession card holders but with the exception of children 15 who will be bulk billed.